As a multidisciplinary program, students come with broad interests and share their different perspectives and observations of this influential to apply what they learn to their own areas of study. This shared experience inspires a greater learning experience and successful creatives projects as seen in these student videos. 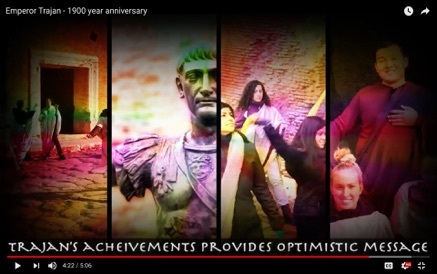 With the knowledge gained by readings, research and archeological experts provided by the city of Rome, students produce a class video performed in the actual historic sites - as seen in the The Toga video above. The students literally re-inhabit these dead spaces, breathing life into worlds that otherwise appear to be dramatically removed from their own. As a result the students gain greater understanding and connectedness, and develop sense memories that enable them to draw more profoundly upon the experience and project it in to their futures. Theater is about the world and thus the ultimate interdisciplinary field of study. In order to create, act, direct or design a production, a theater artist must immerse themselves in the knowledge of the period of the play and those who will inhabit it. 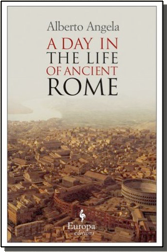 With this new and profound understanding of Ancient Rome that can only be attained by direct contact, students of theatre and film then have the ability to explore and create their own personal vision of this world. Students of all disciplines share their unique perspectives and discover the surprising interconnectedness of seemingly disparate subjects to inspire and grow from the experience. A Day in the Life of Ancient Rome Salisbury Global Seminar: International Studies in Theatre is a multi-disciplinary program that welcomes all majors. 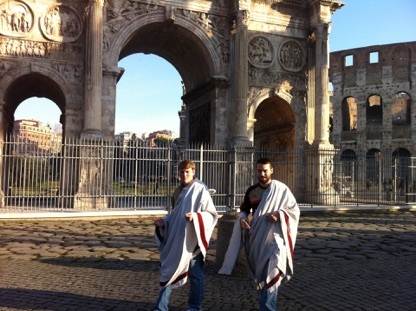 This unique SU faculty-led study abroad program fuses theatre and archeology to provide students with a greater understanding of what it was like to live in Ancient Rome. In a unique partnership with Rome’s Superintendent of Cultural Heritage, students gain exclusive access to historic sites, guided visits by the city’s archeologists, and on-location scene work for a visceral learning experience of Italian history, culture, and period production. As a result, young scholars gain an appreciation for other cultures, a foundation for world events, and inspiration for their own lives based on a greater understanding of past human achievement. Led by Leslie Yarmo, of SU’s theatre department, this program benefits from her knowledge gained from years living in the Eternal city while working on film epic productions and her understanding of Italian culture, cuisine, architecture, and how to navigate the beautiful back streets to discover hidden riches of this magical city. Total estimated cost, including airfare, meals, hotel, entry to all museums and sites, transportation pass for Rome and all course related in-country travel to Herculaneum + a free day travel to Florence, is approximately $4,000. See SU Education Abroad webpage for breakdown of costs. *application considered complete upon payment of deposit. 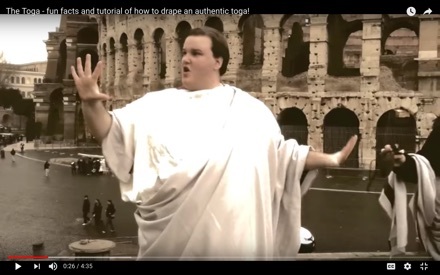 The possible class vproject for 2020 will be to create the video: Fake News in Ancient Rome. Students will research, created the text, stage, and perform video in the historic sites. 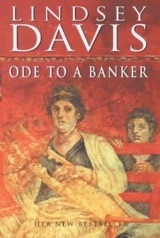 The goal of this program is to provide students with a true understanding of what life was like in Ancient Rome, how this world compares and contrasts to students’ modern world and, finally, how this insight can inform and inspire new interpretations of the past for stage and screen as we move into the future. In addition to on site lectures, texts will be utilized for exercises where students will work together to creatively apply their new experiences and knowledge for visual storytelling. Leslie Yarmo, Associate Professor of Theatre and Costume Designer. Ms. Yarmo speaks fluent Italian and taps her knowledge and love of Italy and history after living for years in Rome and working on epic Roman television series including HBO’s Rome. As a set and costume designer, she also shares her expertise in architectural and fashion history and years in the theatre to inspire a creative and exciting learning experience in a city she considers her second home.